We are taught by tradition to observe “minhag hamakom”, the custom of the “house”. When in someone’s territory, we are to respect and abide by his rules and traditions. Our rabbis were clear that this is the best path for coexisting peacefully with our fellows. Writ large, it is this tradition that has Jews in America singing the “Star Spangled Banner” while Jews in Britain sing “God Save the Queen”. Rav Hirsch correctly hears the echoes of the opening of the Ten Commandments in these verses. As such, they clearly stand to reinforce the supreme importance of understanding that sexual morality is equal to acceptance of Hashem as our God. Without God and without morality there is nothing but emptiness, baseness, isolation and fear. With God, there is everything. God makes the absolute statement of His presence. I am Hashem. I brought you out of Egypt to be your God. But it is still up to us to leave behind our animalistic ways and embrace that which is holy about our lives. How? By our actions; by what we choose to do and what we choose not to do. By observing the commandments given to us. However, the context for embracing the gift of holiness that God holds out for us must be a more general moral stance, one that allows us not only to “talk the talk” of God’s commandments but to also “walk the walk.” In short, we must reject the ways of Egypt and Canaan, leave behind the sordid ways of the past and shield ourselves from the lascivious ways of the future. We suffered greatly in Egypt and we would be challenged mightily in Canaan. But what is it about Egypt and Canaan that could be such a fundamental threat to the future of the Jewish nation that God would hold their practices as example? Is there something specific and unique for us to guard ourselves against? Actually, there are no specifics, per se. There is, instead, a general sense of morality, a context, a canvas upon which the specifics would come to be drawn. While there are no specifics, there is, however, a clear message, that it is incumbent on each and every Jew to turn away from the sexual deviance of the goyim (nations of the world). When the Children of Israel were in the desert, these two nations – Egypt and Canaan – represented the most decadent nations on earth. Rashi tells us this directly, that these two nations are mentioned by name to teach that maseiem shel Mitzrayim v’shel Ca’naanim mekulkalim mikol ha’umos – the ways of these nations are the most abominable of all the nations. In warning us to not follow the traditions of Egypt and Canaan, nations that were strong and defined by an ethos and culture, God’s lesson to us is powerful and direct. It is teaching us to never imagine that it is enough to simply avoid the acts that are most vulgar in these cultures, that refraining from these will protect you and you will uncorrupted by their “lesser sin”. It is teaching us that in a culture defined by abomination that there is no lesser sin! By presuming “lesser sin” we have already trapped ourselves in corrupted thinking. Lesser or “ordinary” sins inevitably and necessarily lead to more and dire sins, until one finds himself at the lowest depths of Egypt and Canaan. The train of immorality is an express train with no stops. Once out of the station, there is no getting off. Of course, in this regard Egypt and Canaan are not merely geographical places rooted in time. They are eternal lessons for us. Egypt is no longer a great civilization. Canaan no longer exists. And yet today, even here in the United States, decadence need not be “sought out”, it seeks to encroach in our lives at every turn. There is no physical wall large enough or strong enough to keep out the temptation. Egypt and Canaan is within every culture. Only our will and the strength to remember, “I am Hashem…” Faith can strengthen us where walls and even logic cannot. “U’bechukoseihem lo telechu.” And do not follow their traditions. It is interesting that “chukoseihem” is used both in regards to these base human behaviors and, l’havdil, about mitzvoth, like parah aduma (Red Heifer) that are beyond our ability to rationally understand. Why do we perform such mitzvoth? Not because they “make sense” to us but simply because God commanded us to! Rav Shlomo Wolbe tells us that, “It is common for people to think that a nation’s culture is predicated upon a set of rational norms, and that any ‘civilized’ person must accept them, unless he is demented.” But that is not at all true. While cultures can embrace what is best in the human spirit, they can just as easily convey all that is decadent. Culture is simply an accumulation of practices, many of which are not in the least logical. American “culture” is predicated on laws, freedom and liberty for all. These are values consistent with our own eternal teachings. But American culture also embraces a worldview which places the fullness of immorality at the fingertips of any person with a iPhone or computer. American culture and mores is both; it stands apart from the culture of the nation of Israel. Ani Hashem elokeichem I am Hashem your God. No human, rational or not, brilliant or dull, can overcome society’s immorality. It is futile to try. There is no “half-way” when it comes to morality. There are no “protections” that will allow you to engage in goyish culture “on your terms.” You have a frum (religious) home? Not enough. Your kids go to day school Az mah? You’re Orthodox? Doesn’t matter. Think your daughter can go to a co-ed university? Think the wonderful foundation you provided will protect her? Think she will thrive in a totally free, university environment? Oye. Yes, she’s bright. Yes, it’s an Ivy League school. Yes, they have a Hillel. And never presume that the “threat” is just to single, young people! Baaleibatim also become ensnared! Sadly, the “proof” is in the pudding. Look around yourself. Egypt and Canaan continue to overpower! We still see countless homes and marriages destroyed. Homes that were good, Jewish homes, filled with yiddishkeit. Once started, immorality is progressively more difficult to stop. The only sure way to stop is to never start. Once our eyes see and our ears hear, it is impossible to un-see or un-hear. Perhaps few experiences speak to the difficulty in overcoming immorality as the experience of young men and women who return to their college dorms after having spent a year or two in Israel, studying Torah. There, their lives were focused and pure. 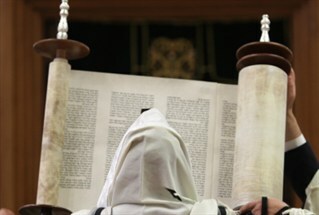 Their thoughts were on God and Torah. At the conclusion of their study in Israel, they return to the United States, certain in their belief that their time in Israel has made them “different” people, more able to withstand the temptations of American college life. How sad then to see the slow, and sometimes not so slow, erosion of that sacredness! How tragic to witness Jerusalem’s holiness lose out to the immorality of America’s Egypt and Canaan! It is a chok. It is not rational. You cannot “tell” yourself not to fall victim. Resistance, once immersed in the culture, is impossible. I am Hashem your God. In that proclamation is the only protection from Egypt and Canaan. Just as God brought us out of Egypt to be our God, so too He brought us out of a culture of abomination and immorality to live a life of holiness and to be a light to the nations.